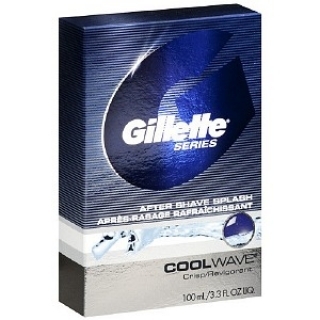 Gillette Series Cool Wave after shave splash is matured and filtered for a long lasting fragrance and blended with moisturizers, to tone your skin. Refreshes with a clean, crisp, masculine fragrance. Crisp Fact: An average person can differentiate between 4,000 and 10,000 scents. F inish a great shave with a crisp clean after shave that refreshes just shaved skin.